Hello there readers, long time no post, I could prattle on about waiting for glasses etc before I could post again but that is all for another post! 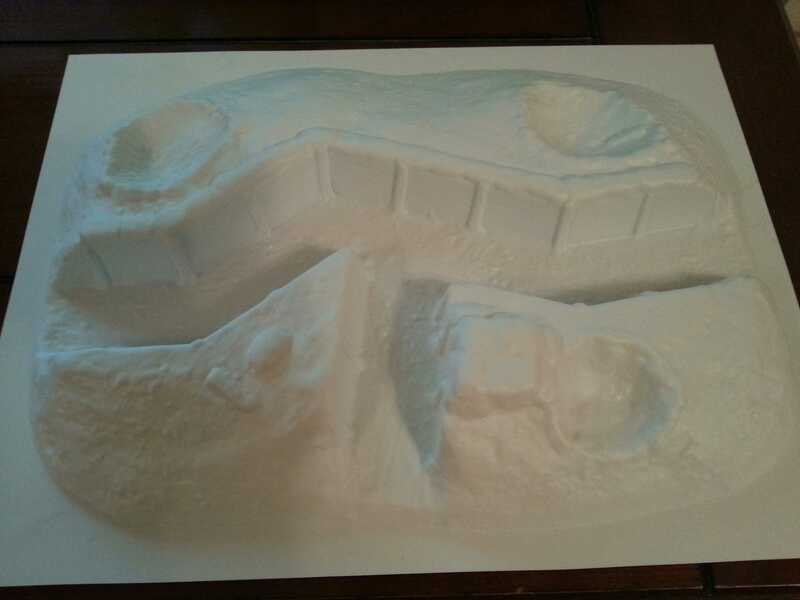 Onto the subject of the post, this is a review of a terrain piece provided very graciously by Amera Plastic Moulding, they can be found on Twitter here, Facebook here and on the internet here. The terrain piece in question is Z203 Trench Defence. My first impressions on this are very, very good. So as with all my reviews I shall detail the pro’s first. • The detail is spectacular, I was initially dubious with what can be achieved by vacuum moulding, but colour me converted. • The price for all terrain by Amera is great, the amount you get for your money is a real nice surprise too. • The packaging that this piece came in was amazing, it was superbly packed and arrived quick-smart. At the moment I can find anything wrong with it or Amera specifically. I would highly recommend these guys for your terrain needs and I am already planning a trench board reminiscent of a World War One picture. Part two of this review will be when I get it painted up. I would like to thank Amera for the chance review their terrain.